You’ve been loving your BMW 5 Series because it drives like a dream and has an abundance of intelligent technology features. 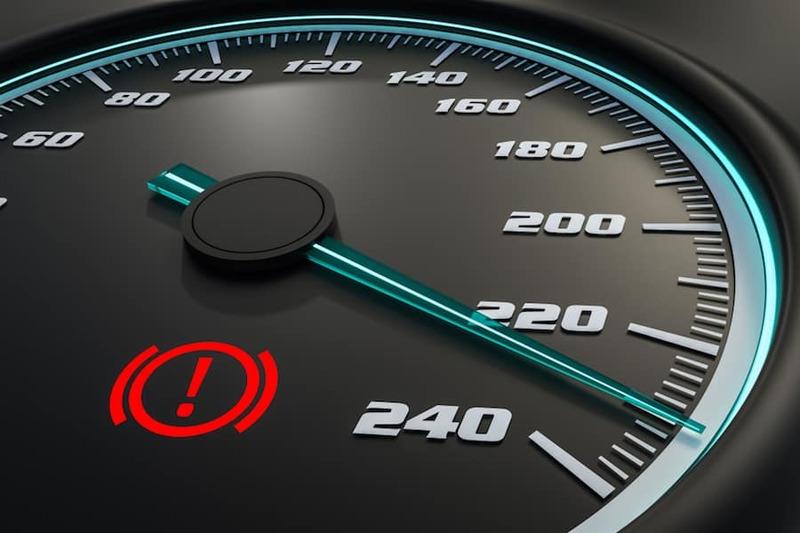 Whenever your car has an issue with one of these systems or it wants to let you know that one of the systems is engaged, it will use its set of indicator and warning lights on the instrument cluster. Understanding the different colors of the dashboard warning and indicator lights in your BMW 5 Series can help you more quickly assess the issue with your car to help prevent any future damage. To help you and all other BMW 5 Series owners in the Westchester County, Yonkers, and Hartsdale, NY, areas better interpret the car’s series of dashboard lights, our team at BMW of Westchester has created this handy guide! When one of these warning lights is illuminated, it indicates the highest level of concern for driver and passenger safety and should be tended to immediately. This warning light actually has two lights, the first being an exclamation point inside a circle surrounded by parenthesis, and the second reading “BRAKE.” These lights warn you that there’s an issue within your braking system. If this is the case, drive your car minimally and take it to your nearest authorized BMW service center as soon as possible. If this light is flashing or illuminated red, it will appear as the rear of a car. This advanced safety feature gives you a warning when there is an impending danger of collision or the distance to the vehicle ahead of you is too small. Your 5 Series is calling on you to intervene by braking or maneuvering out of harm’s way. This symbol appears as a human standing in the road and works with the car’s intelligent set of sensors to tell you when a collision with a pedestrian is imminent. If the car detects a human in your car’s path, the symbol will light up and signal an accompanying sound. If one of the following dashboard lights is illuminated in an orange or yellow color, the car is indicating that one of its normal features is engaged. This warning light also works with one of your car’s advanced safety features to warn you when you leave a lane without flashing your turn signal beforehand. Immediately check the lanes next to you to help prevent an accident. This warning light looks like a steering wheel with an exclamation point next to it. If it illuminates, it means there is an issue with the steering system, in which case you’llwant to pull over safely and have the system checked at your earliest convenience. Schedule a Service Appointment Today! Understanding the language in which your BMW 5 Series communicates with you through its advanced system of dashboard warning lights is critical to knowing when your car needs service and when it’s just letting you know that a system is engaged. If your dashboard lights are telling you that your vehicle needs service in the Westchester County, Yonkers, and Hartsdale areas, allow our expertly trained technicians and state-of-the-art BMW of Westchester Service Center to help determine and fix the issue quickly so that you can get back to your daily driving.